It’s been awhile since I’ve done a giveaway and I still have some of these great quilling kits to clear out (I’m kind of changing the usual inventory I have in my shop to include basic quilling tools, supplies and only beginner kits). So yay, giveaway!! 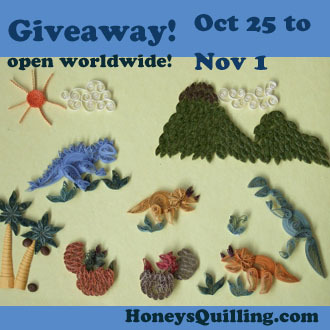 Enter to win a quilling kit with dinosaurs and other prehistoric scene objects. Great to make a frame, decorate cards, and more! The giveaway runs through October 31st and the winner will be announced within a few days after that. There are many ways to enter, so have fun! I would love to see how a project is started so it will be a picture to frame. How do you glue the outlines, do you start with a picture on the working area, then start gluing the areas. I guess I would love to see step by step how one comes together. Maybe you already have a tutorial and I haven’t seen it yet? Thank you for all your sharing and a great site for us beginners. I’m living in Australia. 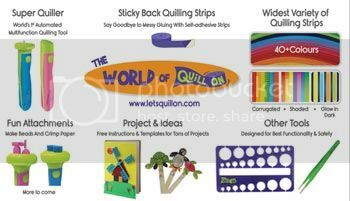 Jus wanted to knw if you would be able to ship the quilling materials to here. Please send me the details if you could. Hi Anitha 🙂 Yes, I ship worldwide and have regular customers in Australia. You can choose Australia when you order from any of my shops including http://HoneysQuillingShop.com shipping is based on weight (though sometimes the estimate is higher than the actual ends up being, in which case I reimburse the difference). Am a regular visitor of ur blog.love all ur bolgs and read each and every tip of urs.thnks a ton for sharing all ur valuble knowledge.love to see more of mono graghy quilling too. Hi there, I love quilling and I love your blog. It’s full of tips and tricks and there’s so much to learn. I just want to thank you for all the knowledge you share with us. I’d like to see some Christmas designs – tey would help me getting started, preparing for the holidays! And… thank you for all! yes, now that I’ve finished the Halloween designs it’s time to start for Christmas! id love to see more 3D tutorials especially small people like thingies! !and on how to quill letters! I love to see some Christmas quilling! Hi! I’m a creative and crafty person that came along this giveaway and blog! 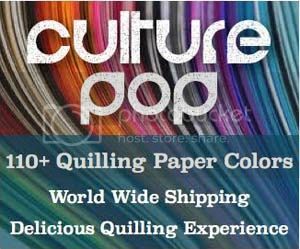 I would love to try paper quilling! I love making this for the upcoming Christmas holidays so I’m always up for crafty patterns for that! I am loving the owl tutorial I downloaded from you Etsy store. Regrettedly, I am unable to connect with you on any social media in order to up my chances, I do not participate in any. But if I did, I’d like/follow everywhere I could!